Let’s be honest, in most homes interior design and decorating decisions are primarily made by the lady of the house. This of course is a generalisation, but certainly true for many families. However this coming Sunday is Father’s Day and in celebration of dads, we have some great ideas on how to decorate for dad! Whatever it is; the FIFA Soccer World Cup, Game of Thrones, Super 15 Rugby or his favourite comedy show, bigger is always better! 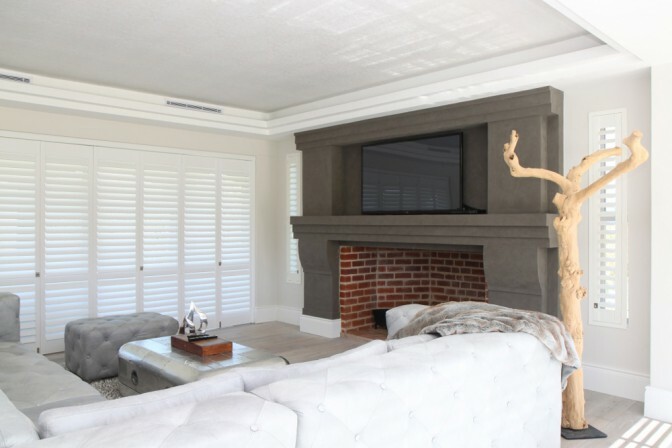 Making space for a big screen TV for dad in your living area or lounge will make dad feel right at home. Take some of the focus off the screen by surrounding it with artwork or photographs. Create a clever way to hide the screen when not in use, either behind an artwork or in a cupboard. However you chose to incorporate the big screen TV into your living room or lounge decor, it is important to consider how natural light coming in from windows and doors will effect your viewing enjoyment. Shutters and blinds are ideal at controlling light; louvres can be tilted and positioned to direct light away from the screen or block out all light. Most dads thoroughly enjoy a good old South African braai, whether it’s with friends or family, the warmth of the fire, the conversation and laughs, and the aromas and taste of braai’ed meat are most often dad’s domain. 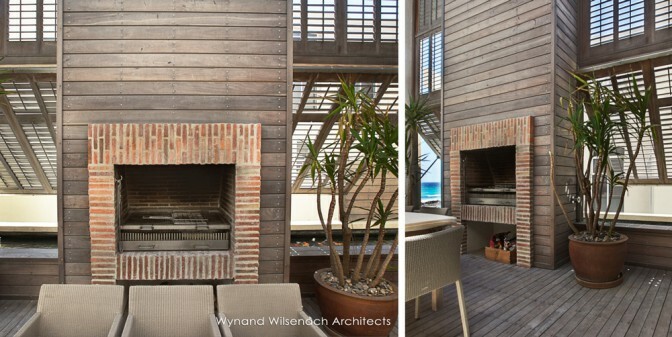 Creating a welcoming, comfortable and practical space in or close to the home for dad to enjoy braai time will ensure more quality family and social time. Use practical furniture and finishes that are easy to clean. Less is more when it comes to accessories. Lots of comfortable seating and a dining area. Lighting for both ambiance and functionality (so the chef can prepare his food to perfection). Good ventilation – indoor braais, even with a good chimney draw, can make an area smell smokey, with the smell of burning wood or cooking meat permeating furnishings and any fabric window dressing, the solution is to have shutters or blinds installed to provide maximum ventilation. Some call it a man cave, others call it a garage or workshop, we call it dad’s den. A place where dads can fix, fiddle, mend and make whatever they wish to while making as much noise and mess as necessary. This space is all about practicality and function. Choose flooring that can be easily hosed down to clean. Install strong lighting to ensure maximum visibility for when dad is working with power tools and sharp objects or busy with precision work. Set up a clever storage system where everything has a place and can be easily found. Ensure there are enough power points to meet the needs of the various power tools dad will need to operate. But let’s face it, the tools and equipment found in dad’s garage or workshop are not cheap, some cost a small fortune and some can be quite dangerous so they need to be stored in a safe environment away from children and DiY novices. Made of 100% recyclable powder-coated aluminium with stainless steel locks, screws and fittings and anodised aluminium tracks and hinges for anti-corrosion, Security Shutters have adjustable louvre shutters and are suitable for interior and exterior use and ideal to keep dad’s workshop safe. They have a maintenance-free finish, are durable and robust; reinforced with steel rods running through the core of each louvre and extending into the stiles. We think dads are awesome and they deserve awesome spaces in their homes. Why not choose one or all these decorating for dad suggestions and surprise him this Father’s Day!